France in London | Charlie Hebdo went up in smoke! Charlie Hebdo went up in smoke! On the night of 1-2 November, the Parisian headquarters of Charlie Hebdo, a satirical paper with a circulation of around 75,000 copies each week, was burned down and reduced to ashes. The paper is no stranger to incendiary activities, having already been attacked and taken to court in 2006 for the publication of Danish cartoons portraying the prophet Mohammed. This latest incident was provoked by a special edition called « Sharia Hebdo », supposedly put together by Mohammed as editor in chief. 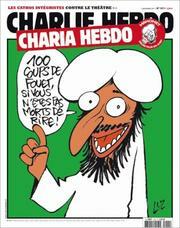 The front page of the special edition features a cartoon of Mohammed saying « 100 lashes if you don’t die of laughter ». Perhaps not surpri singly (standing up for free speech or pointless provocation of a minority?) not everybody saw the funny side of the story. 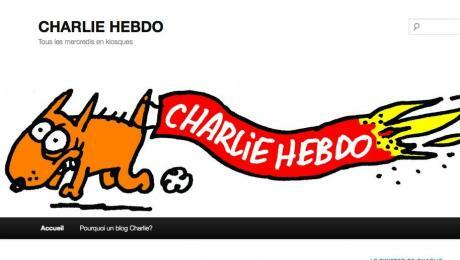 The Charlie Hebdo website was also hijacked and its Facebook page was flooded with outraged messages and threats from fundamentalist groups. The website was rapidly disabled but the weekly Nouvel Observateur subsequently received a press release from Akincilar, a Turkish group, stating « Charlie Hebdo is now our target after this attack to our religious values ». The Charlie Hebdo team took refuge at the editorial offices of Libération, a left-wing daily, and the Sharia special, thanks to this God given advertising campaign, rapidly sold out. Charlie Hebdo journalists replied to the attacks by creating a new blog where they take the p**ss out of themselves by saying that they had not even been clever enough to schedule a bigger print run of the offending edition. They, at least, still have a sense of humour. All the great and good of the French media came out in support of Charlie Hebdo in a well-organised parade of self-righteousness. Libération, presumably having notified ‘les pompiers’ in advance, even published cartoons featuring Mohammed on its website. Politicians lined up to denounce this crime against freedom of expression. Social networks such as Facebook registered great waves of support for Charlie (but not many people left their home address). So, were they right to publish? Maybe German newspapers were full of similar ‘humour’ about Jews in Nazi Germany? When does one person’s humour become somebody else’s offensive racism? In an atmosphere of political and religious tension, with the burqa issue still not far from the headlines, was it right to put out an issue that Le Pen supporters probably found funnier than Charlie’s traditional readership base? Maybe Charlie should approach the Front National for funds to re-build their headquarters if their insurers refuse to pay up? I totally agree with you. This article tries to look smart by raising issues and contextualizing what's happened to Charlie Hebdo. But it fails: the questions are wishy washy and the comparisons are irrelevant. I expect F. Bercault doesn't like the Monty Pythons either... remember that hilarious song called "Never be rude to an Arab"? Well this is a pretty one sided article, Florian Bercault. Muslims in France are absolutely not in the same position as were the jews in Germany under the Nazis, what is this kind of comparison??? Charlie Hebdo is a satirical NP, what do you expect? That they would just shut up about this religion or that political party because it's a bit of a sensitive subject at the moment, and some people might not be able to cope with the jokes? Come on, everyone has been called on the carpet: Jews, nazis, French, Catholics, Muslims, LePenistes... Everyone. Last but not least: there are maybe other ways of showing that you don't find a joke funny and disagree. If this edition was really taken as an insult and offensive racism, why not take it to court then?